Berkshire HDP® Porcelain Tile by Florida Tile - Kitchen - Other - by Florida Tile, Inc.
Berkshire HDP®—High Definition Porcelain® is an incredible departure from the stone looks of other contemporary porcelain floor and wall lines. 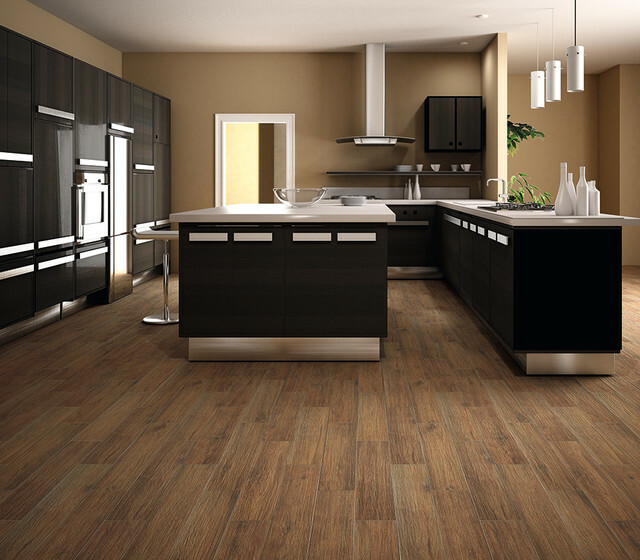 Through the digital printing process, and an intricate surface texture, we are able to create an amazing wood look tile that is almost indistinguishable from the real thing. Aptly named, the Berkshire HDP® series evokes a nostalgic Americana feeling of east coast prep and the rugged northeast. With its rich colors and hand-scraped texture, BerkshireHDP looks and feels like panels of reclaimed lumber that have already lived a lifetime. Made in the USA.